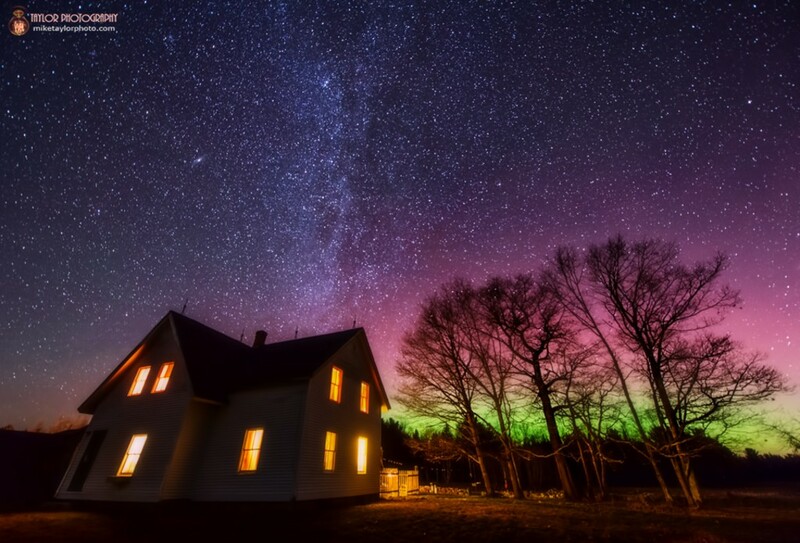 Mike Taylor sent Space.com this photo of an aurora over a farmhouse in central Maine. He captured the image on Saturday at 11:30 p.m. local time. The Andromeda Galaxy and a section of the Milky Way can also be spotted in this the image. 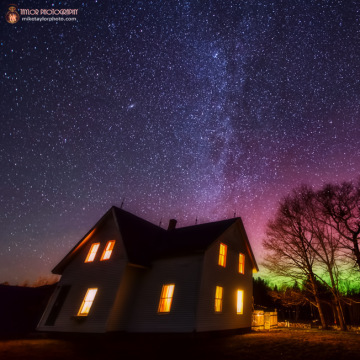 Pink and green lights shimmer over a farmhouse in central Maine in this beautiful photo sent in to Space.com by a veteran night sky photographer this month. Astrophotographer Mike Taylor took this great image on Saturday from a friend's farmhouse at 11:30 p.m. local time using a Nikon D600 camera and 14-24 mm at 14, f/2.8, 30 seconds, ISO 3200. The Andromeda Galaxy and a section of our host galaxy, the Milky Way, are also visible in this photo. The image was processed through Lightroom 4 and Photoshop CS5.